It is becoming increasingly and painfully clear that voters in both parties are having a hard time settling on a front runner. Not only have different people won different primaries thus far, no one won a majority in any primary in either party -- until Hillary Clinton, running virtually unopposed in the Michigan primary, received just over half the votes, while "uncommitted" received 40 percent. What is wrong with this year's candidates? The short answer is that most of the Republicans are questionable and all three leading Democrats are dangerous. 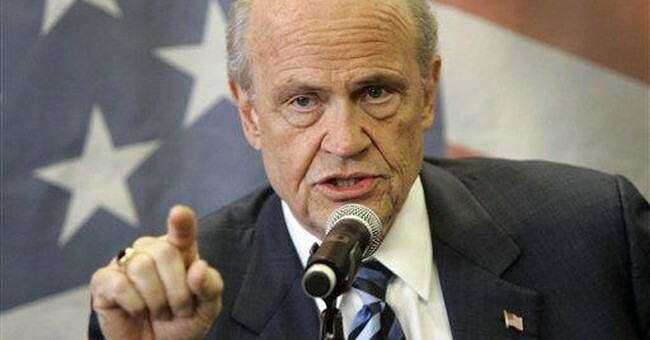 The only real conservative candidate is former Senator Fred Thompson but his low vote totals in all the Republican primaries thus far make him a one-man endangered species. If he doesn't get some serious voter support in South Carolina, it is hard to see how he can become a viable candidate. And, if he drops out, it is hard to see who conservative Republican voters will support -- either in the primaries or in the general election in November. That raises the very serious possibility -- and the very dangerous possibility -- that Hillary Clinton will become President of the United States if conservative Republicans stay home on election day. While Barack Obama and John Edwards have been irresponsible demagogues, the Clintons have a record of lawless and ruthless corruption that goes back not only to their White House days in the 1990s but even back to their time in the governors' mansion in Arkansas. Nor is this simply a matter of domestic politics. It was Bill Clinton who ignored the advice of military and intelligence officials when he gave China the technology that can be used to enable their nuclear missiles to hit American cities. It was Bill Clinton who gave the North Koreans help on their nuclear program in exchange for promises that have -- predictably -- proved worthless. This was just one of the dangerous problems that he swept under the rug and left for his successor. People like this are not to be trusted with the highest office in the land in an era when Iran is moving toward nuclear weapons that can easily be turned over to international terrorists. Conservatives should be the last ones to let the Clintons take control of the White House again, just because they cannot find an alternative candidate who meets all their desires. It may not be emotionally satisfying to vote for the lesser of two evils but a lot depends on how bad the worse evil is. Nobody running on the Republican ticket is as dangerous as the Clintons. Some of the objections to former governor Mitt Romney raise a disquieting question as to whether religious differences alone are enough for some voters to pass up a candidate whom they would consider voting for otherwise. It is one thing to say that particular policies of a candidate go against fundamental moral principles derived from your religion and something very different to be against a candidate whose actual policies are consistent with your principles but who simply attends a different church. Would someone vote against Rudolph Giuliani because he is a Catholic? John F. Kennedy put that issue to rest nearly half a century ago. Do we need to wait another half century before a Mormon can be judged on his record? Mitt Romney has a record as governor of Massachusetts and his father had a three-term record as government of Michigan. Anybody's record can be attacked -- and should be attacked, if you disagree with it. But that is wholly different from being against a candidate because his church differs from your church. Mike Huckabee's record as governor of Arkansas -- including his wholesale pardons of criminals and his raising of taxes -- should not escape scrutiny because some voters belong to the same church he does. Nor should he be singled out for attack by voters who go to a different church or to no church. The stakes are too high to do anything other than select the best person available, even if none of the candidates seems ideal.